Posted on Monday, March 10th, 2014 at 1:36 pm. Boxing History: March 9, 1900 Terry McGovern KO 3 Oscar Gardner, NYC. McGovern held the World Bantamweight and Featherweight Championships. He was born in Johnstown, Pennsylvania as John Terrence McGovern. In 2003, McGovern was named to the Ring Magazine’s list of 100 greatest punchers of all time. 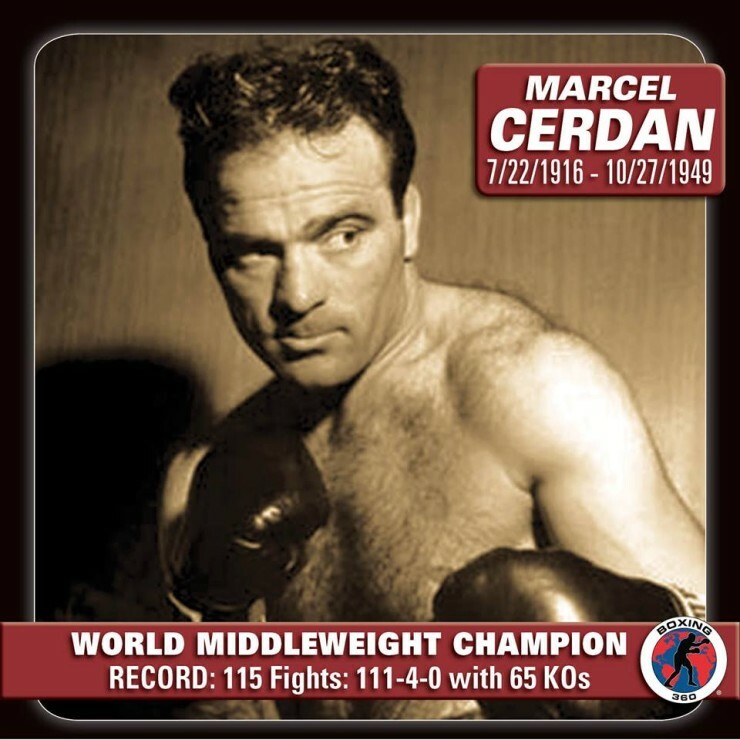 Boxing historian Nat Fleischer ranked McGovern as the greatest featherweight of all time. Terry McGovern “Terrible Terry” began his professional boxing career in 1897. In a little over two years he won the World Bantamweight Title stopping Pedlar Palmer in one round on September 12, 1899. Four months later on January 9, 1900 he added the World Featherweight Title stopping George Dixon in 8 rounds. After six successful defenses of that title he finally lost it on November 28, 1901 to Young Corbett. One of the greats of all time McGovern finished a stellar career claiming victories over ring greats Harry Forbes, Oscar Gardner, Joe Gans, Dave Sullivan and Jimmy Britt. Presented here are fight gloves of Terry McGovern. These are a pair of leather gloves with no manufacturer’s label. 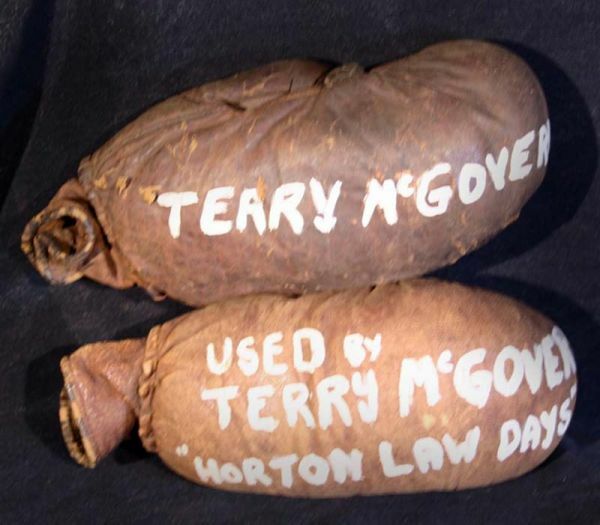 The right glove has been painted, “Terry McGovern.” The left glove is painted, ‘Used By Terry McGovern “Horton Law Days.”‘ Craig Hamilton of JO Sports, Inc. researched the gloves and made the following determinations. The reference to Horton Law Days is to the laws of boxing which were in effect at the time of McGovern’s career. 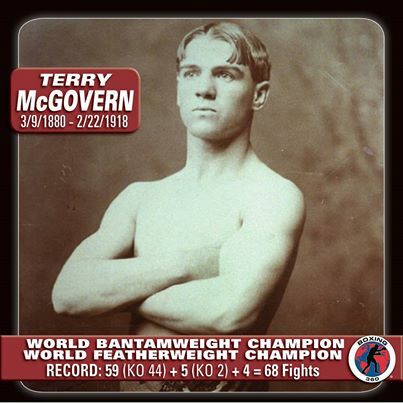 The boxing gloves date to the career of Terry McGovern. The exact fight these were used in is undetermined. The paint on the gloves is consistent with paint used to identify other items which were housed in The Ring Museum of Nat Fleischer.